Offers superb dexterity and comfort. Suitable for industrial applications or heavy vehicle operations. 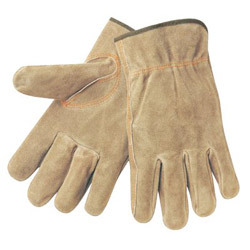 Style: Drivers'; Wrist Style: Shirred; Material(s): Cowhide; Elastic; Thumb Style: Keystone. Driver's Gloves from Memphis Glove! 72 In Stock today.